Apple has confirmed to MobileSyrup that the 10.5-inch iPad Pro officially replaces the 9.7-inch iPad Pro. The new model features a display that’s 20 percent larger than the 9.7-inch version, though it isn’t much larger than its predecessor thanks to the device’s smaller bezels. The bigger size of the 10.5-inch Pro means that Apple can call the tablet’s on-screen keyboard full-sized. The Smart Keyboard — which is still sold separately — is also now considered full-sized and is much easier to use for prolonged periods of time because it feels significantly less cramped. The tablet still weighs in at approximately just one pound, almost exactly like the 9.7-inch iPad Pro. Along with introducing the 10.5-inch iPad Pro, Apple is also refreshing the 12.9-inch version of the tablet. 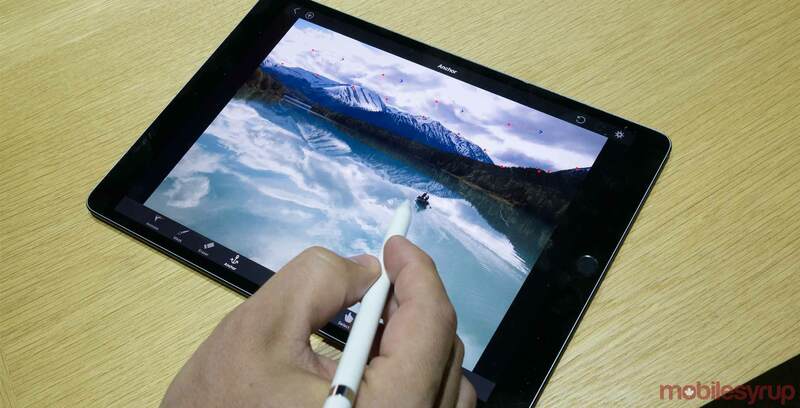 Both versions of the iPad now feature the True Tone display that adjusts the colour temperature on the fly depending on lighting conditions, first introduced last year with the 9.7-inch Pro. Other improvements include a wider DCI-P3 colour gamut and a low-glare glass panel with a 600-nit display. The iPad Pro also includes an A10X Fusion chip with a six-core GPU, among other upgrades. For my initial impressions of Apple’s new 10.5-inch iPad Pro, check out my hands-on impressions with the tablet.